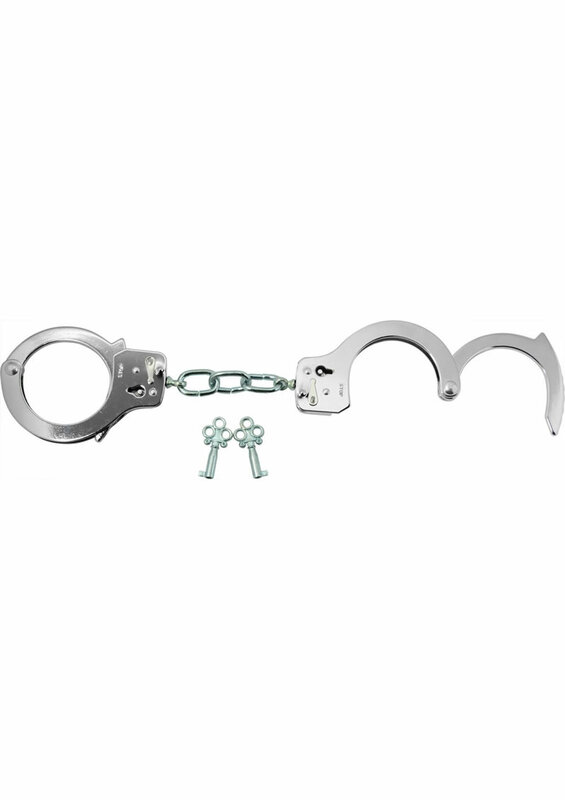 This metal handcuffs have a nice nickel plating and sturdy chain connecting them. Each cuff has a single lock that requires a key to open. Includes two handcuff keys.